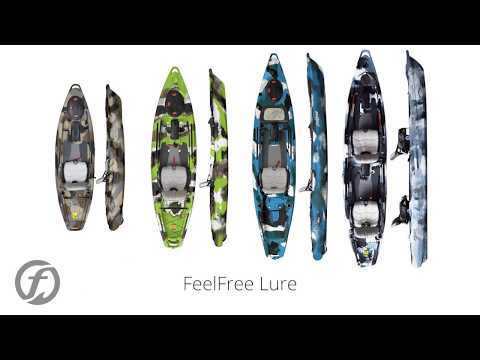 The Feelfree Lure II Tandem Overdrive features the modern evolution of pedal powered kayak propulsion offering effortless speed, ease of use and adaptability. The Overdrive is in the rear seat cockpit area giving the front passenger the option to fish, help you find fish or simply sit back and relax. The Overdrive unit is the only two-in-one system that offers forward and reverse pedal or power driven capabilities in one single unit when paired with the Motordrive, sold separately. It features a one-handed rudder steering lever control and Gravity seat adjuster for the ultimate in accessibility and comfort. Engineered to last, the system is manufactured using cast aluminum and finished off with heavy-duty components. Paddle, pedal or power, the Overdrive system gives kayak anglers and recreational paddlers the flexibility to Feelfree all day long no matter where they choose to have fun! Q: Can this have overdrive pedals in front and back? If so, how much would it cost configured like that? A: You can purchase a second overdrive after purchase and install it. This only comes shipped with one. 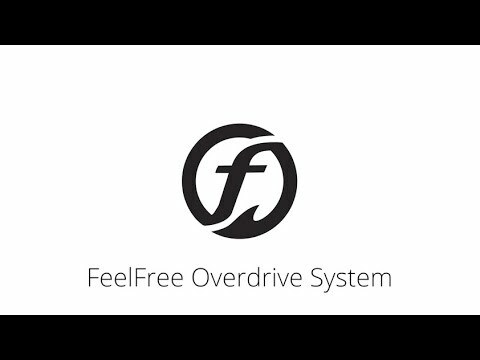 Q: The staff at Feelfree suggested that there wasn't sufficient space forward of the front seat to allow for a second overdrive pedal unit to be installed for the front passenger. Have you had any experience adding a second pedal drive unit in the front so both passengers could pedal? A: This will have to do with the leg length of front occupant, but will be more than adequate for anyone under 6' tall. Q: How long is the battery life of the motorized version? How long will it hold a charge? Is this something that will last an entire day of fishing? A: The motor console does not come with a battery. Battery life is determined by a number of factors including battery type, size, and speed. If you have questions on choosing the appropriate battery for this motor please reach out to our customer service team or any of our stores. Q: Do you receive something to put in place of the overdrive when you don't want to take it with you? Something that goes into the hull to close up the spot? Im not sure what you call the box that you mount your fishfinder to but do you receive two of those? Can you purchese another one? I can see me and the wife using the kayak just for paddling sometime. Also, is there a lot to change the rudder system from the hand control to the foot controls? Is the rudder already assembled when I get the kayak? How much does the overdrive weigh? 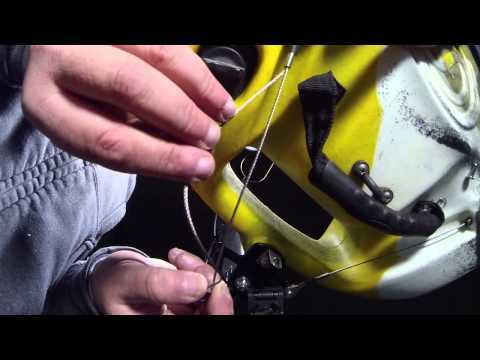 A: The Lure II w/ Overdrive does come with the hand control rudder installed, there are no further modifications or installations you need to do for the pedal drive. The rudder will be assembled but the cables will be loose so that it does not get damaged in shipping. You will just need to adjust the tension of the rudder cables. The Overdrive system weighs about 20 lbs. The Lure II comes with 1 Overdrive unit and 1 Sonar Pod. If you are taking it out without using the pedal drive and don't want the open hole, you can purchase an additional Sonar Pod to fit that opening. Keep in mind the rudder will still be set up for hand control so you'll either want to flip the rudder up while paddling or keep it centered to help with tracking. Any further questions please don't hesitate to reach out to our customer service team or any of our stores. Q: Does it come with two or one gravity seat? A: Both of the seats on this are gravity seats. Q: can I purchase this kayak without the pedal drive unit ? but still keep the pedal drive hatch? Q: Does this come with all of the necessary modifications fr the overdrive pedal system?